Idyllic. Just there, on the town square, between the coffee shop and the antique shop, across from the courthouse whose high peak is heavy with time. 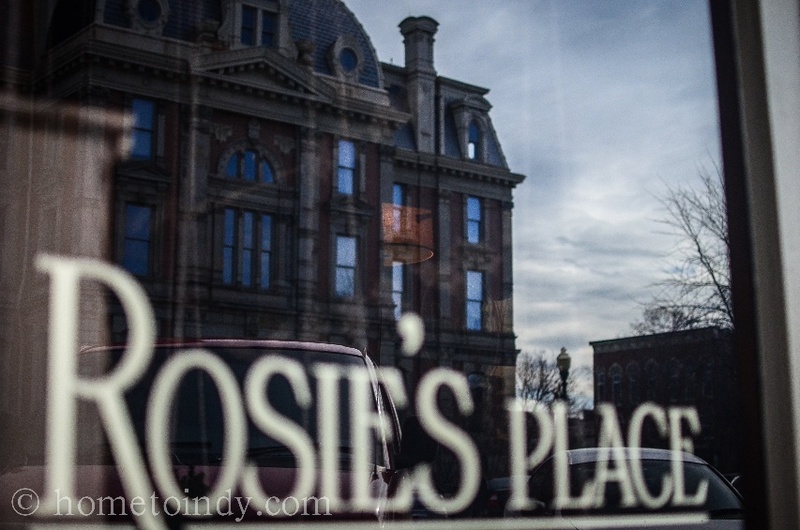 Tucked in among many faces, like a middle sibling, sits Rosie's Place. It is unquestionably one of my favorite places to go in Indianapolis. It’s the place I save for visits with my best friend who lives far away and where I have breakfast with my aging father every week. It's not just someplace I go, it's somewhere I belong. Since I'm a regular there, I feel qualified to talk about it's finer points. First, every single person who works there. I go every Wednesday for breakfast with dad and usually, we sit in Geri's section. Geri remembers our favorite breakfast and she knows to ask me if I want coffee or Earl Grey. Some Wednesdays she seems to have premonition about which is needful that morning, and I’ll find a cup waiting for me when I come. She hasn’t guessed wrong, yet. 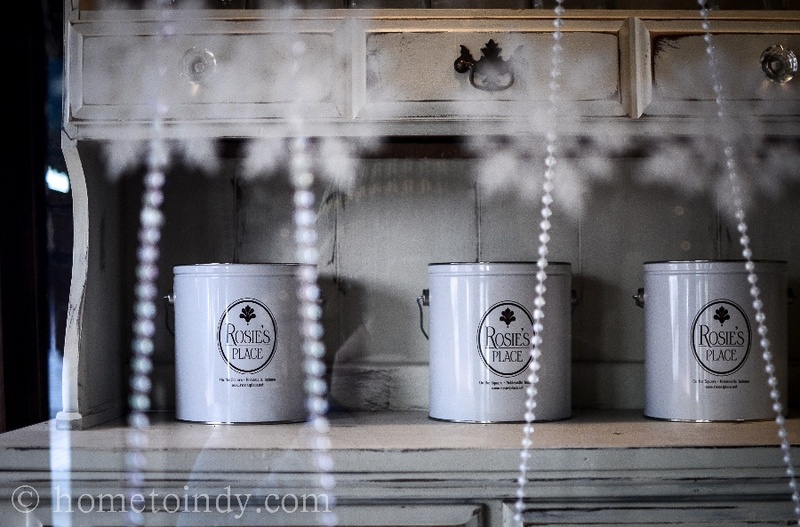 The wide wood plank floors creak and groan, as the staff carries fragrant baked goods from the kitchen in the back to the giant glass display in the front, portioning cookies into apothecary jars. If you want to be incredibly indulgent, eat anything of theirs labeled “gooey butter”. Never mind that one cookie contains all the calories of Christmas and Thanksgiving combined. Just...never mind. But if you want to be good, you can do that, too, without the slighted hint of sacrifice. The best part is that Rosie’s sources it’s foods from fresh, local vendors and crafts a daily menu with seasonal fare. They have gluten free selections as well, and my favorite of all; Oatmeal. I know, it sounds crazy, but you haven’t tasted oatmeal like this, before. It’s practically a soufflé. Truly, it’s an airy, fluffy concoction, served with pecans and cranberries and brown sugar on the side. It opened my eyes to the truth that I never knew what oatmeal was, before Rosie’s. And if the oatmeal is that perfect, can you even imagine what their chicken pot-pie must be like? I will tell you. It is sublime. Rosie’s is already a popular place among the locals, and part of me is hesitant to invite just anyone. But I console myself. It isn’t just anyone. It’s you. And I know you’d love it there. I certainly do.